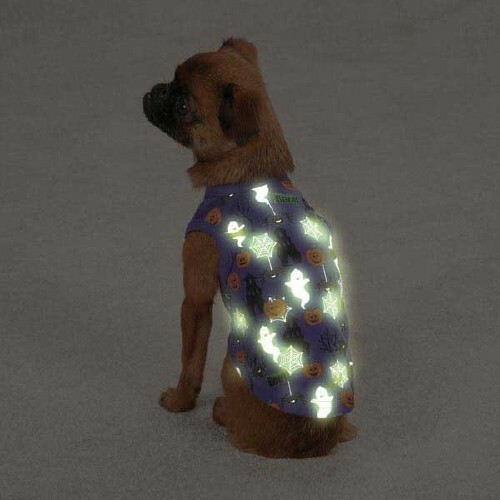 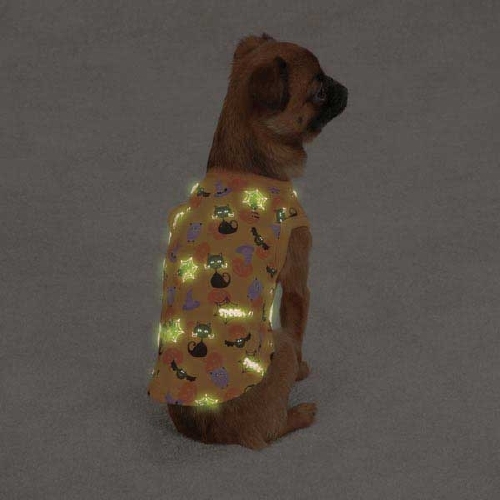 Give pets a fearfully cheerful fright night in our exclusive glow-in-the-dark Casual Canine® Boo Dog Tanks. 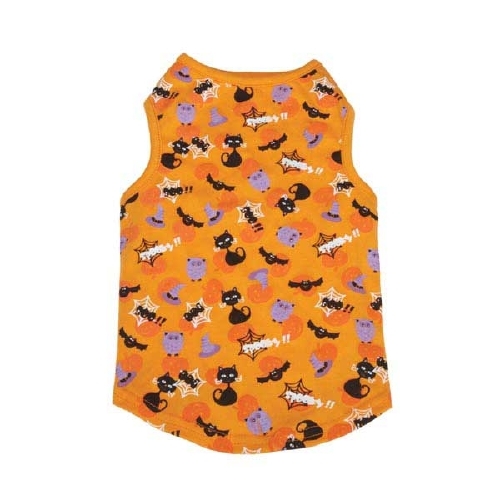 Features a bat, pumpkin, spider web, ghost and "BOO" print. 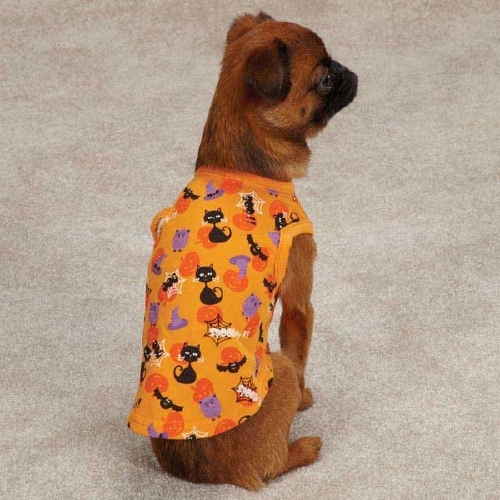 Small: Australian Terrier, Border Terrier, Boston Terrier, French Bulldog, Miniature Pinscher, Miniature Poodle, Pekiingnese, Pug, Shih Tzu, Silky Terrier, West Highland Terrier. 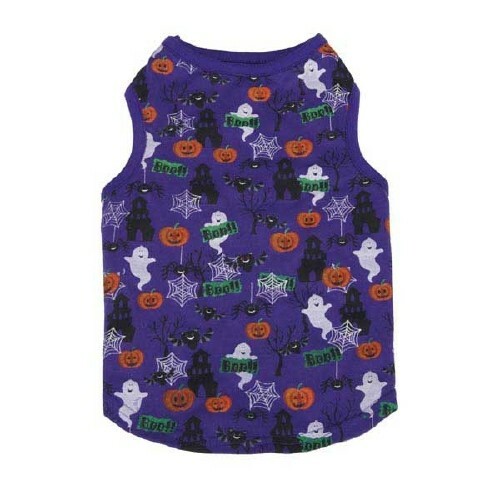 Note: If your dog has a stout build, select one size larger.